Plumbing fixtures are far more efficient than they used to be, doing the same job with a lot less water. 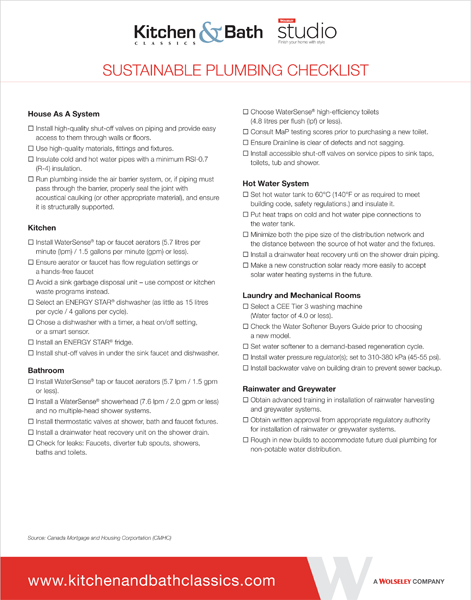 Water-saving fixtures are now required in many areas by building and plumbing codes. Toilets use approximately 27% of the water consumed in your home — more than any other appliance or plumbing fixture — including washing machine, dishwasher and shower. 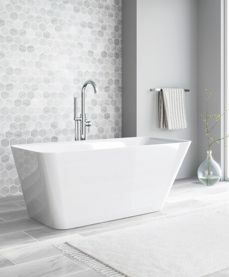 Replacing your old toilet with a low-flow model is a great place to start when “greening” your bathroom. Low-flow toilets once got a bad rap for inadequate flushing. Modern low-flow toilets provide ample flushing power, while still using just a fraction of the water. Toilets have been engineered to be more efficient, quieter and conserve water. The stingiest flush toilets use just 1.28 gpf (gallons per flush) or less. 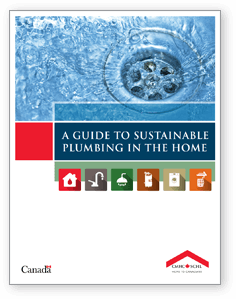 Low-Flush – Older toilets used up to 7 gallons per flush (gpf), or 15 litres per flush (lpf). New regulations require new toilets to use no more than 1.6 gpf (6 lpf). Installing new toilets in a home with older models will save a significant volume of water. Dual-Flush – If you already have a low-flow toilet you can still cut down on water usage by installing a dual-flusher that gives you a choice: push one button for flushing liquid waste (around .8 gallons of water) and another for solid waste (1.6 gallons or less). All brands at Kitchen & Bath Classics are engineered with quality materials to aid in the consistent delivery of clean water, primarily with faucets designed to prevent standing water inside the faucet itself. It is not that easy to make the right choice. A kitchen faucet with a sprayer makes it easier to clean the sink.